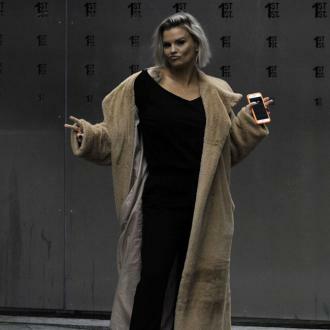 Kerry Katona has admitted that she wanted her drug abuse problem to kill her when she was at her lowest point. Kerry Katona wanted her drug habit to kill her. The 37-year-old singer reached her lowest point in 2009, when her husband Mark Croft had cheated on her and she lost a £250,000 advertising contract after video footage emerged of her snorting cocaine and she admitted she ''didn't want to be here anymore''. She said: ''I felt really suicidal when I was married to my second husband, Mark. Kerry - who has Molly, 17, and Lily-Sue, 15, with first husband Brian McFadden, Heidi, 11, and Max, 10, with Mark, and four-year-old Dylan-Jorge with third spouse George Kay - admitted she took so many drugs, she'd have seizures and be left ''frothing at the mouth''. The 'Whole Again' singer's turning point came when she went on a two-week bootcamp and realised things had to change, telling Mark she wanted a divorce days after she returned home. She recalled: ''It was the first time I was away from Mark for two solid weeks, running, eating healthily. I came off my bipolar medication. ''I never touched cocaine ever again. That boot camp saved my life. Kerry suffers from bipolar disorder and still gets overwhelmed by feelings of depression but will always ''fight'' to get back on track and called for others to do the same. She said: ''Even now I have suicidal thoughts and I feel like I can't do this anymore, but don't be ashamed or embarrassed to speak up, there is so much to live for. ''Look where I am - I was on the verge of suicide, I lost everything, money friends, family. I'm still fighting.